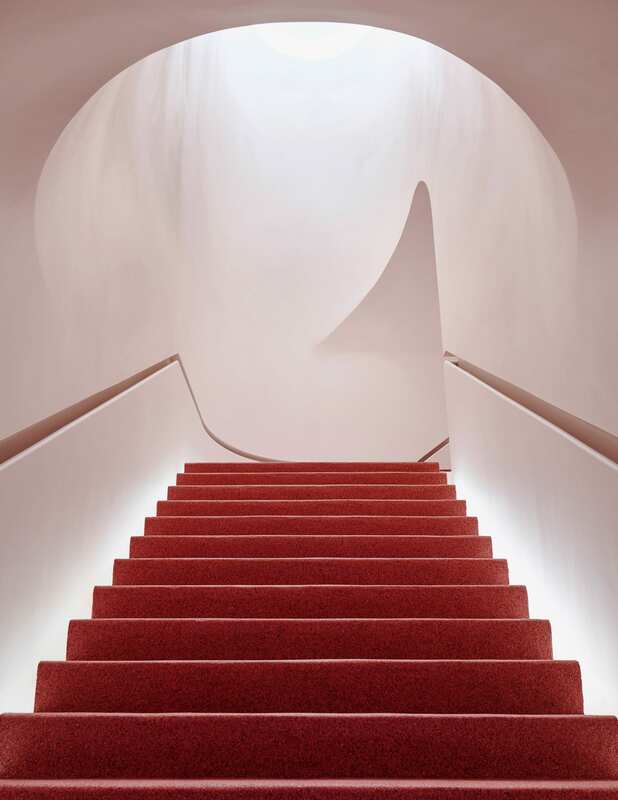 Emily Weiss’ beauty start-up, Glossier, has opened a pink-wrapped three-storey flagship store in New York City‘s SoHo neighbourhood, designed by Gachot Studios in collaboration with architecture practice P.R.O. 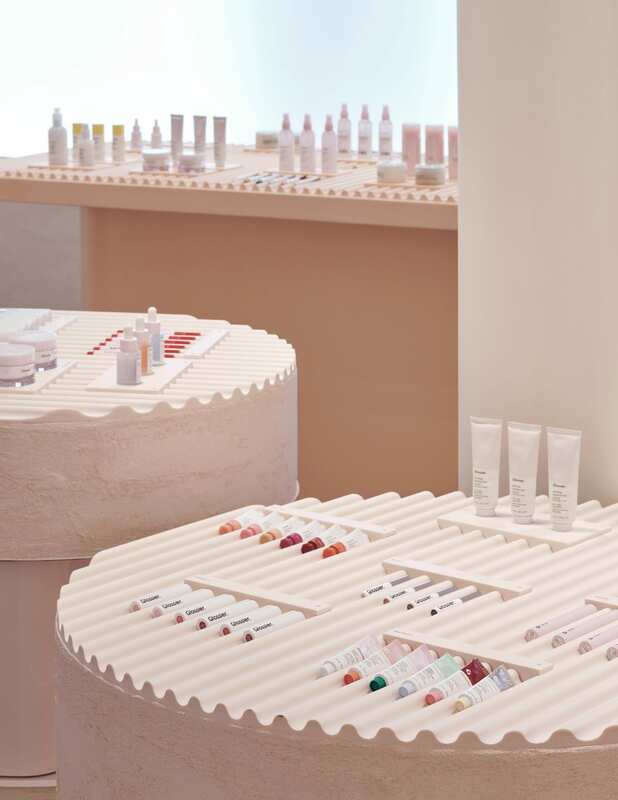 The concept of the Insta-friendly retail interior revolves around the touch and feel of the Glossier brand in real life. 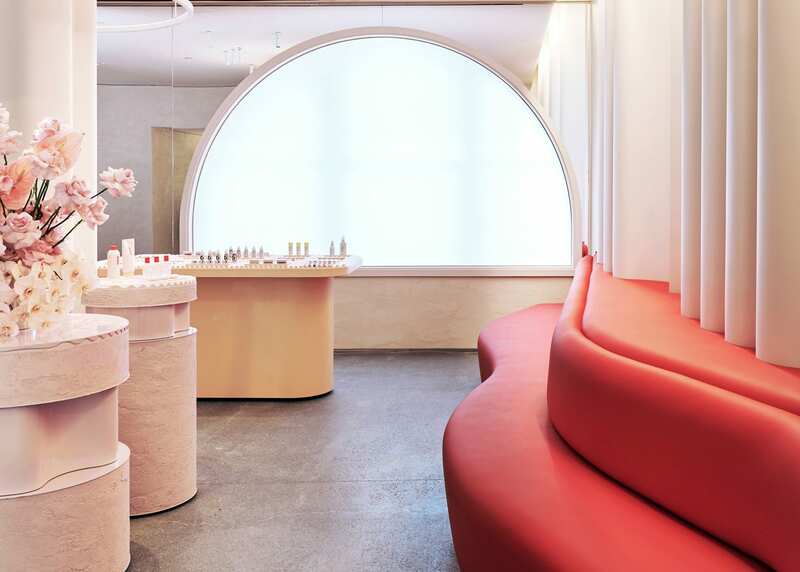 Created as an immersive community space where the customers can get to know the brand and each other, the interior is both a physical and sensorial embodiment of what makes Glossier, Glossier. 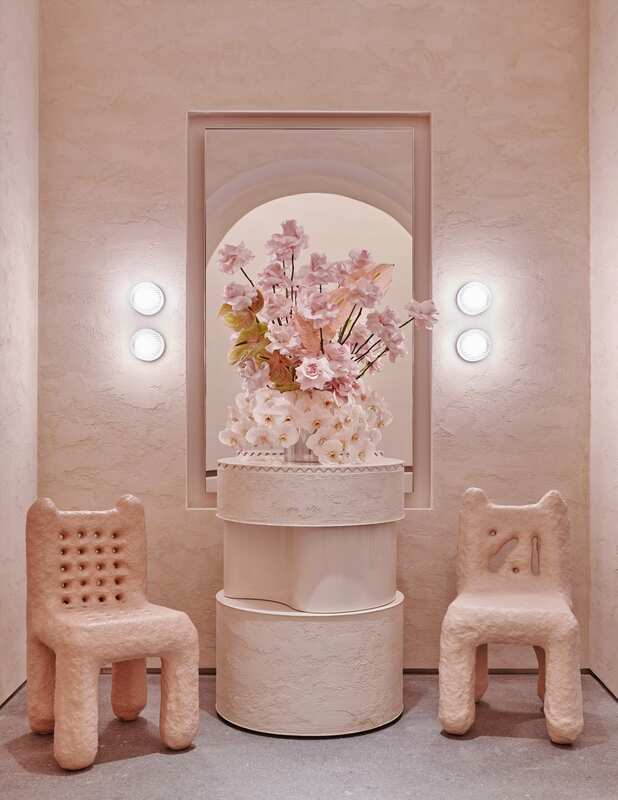 Customers will be able to hang out with Glossier’s Offline Editors, test and shop products, and immerse themselves in a Glossier universe which includes an experiential “Boy Brow Room.” Most importantly, they’ll be able to connect over beauty with old friends and new. 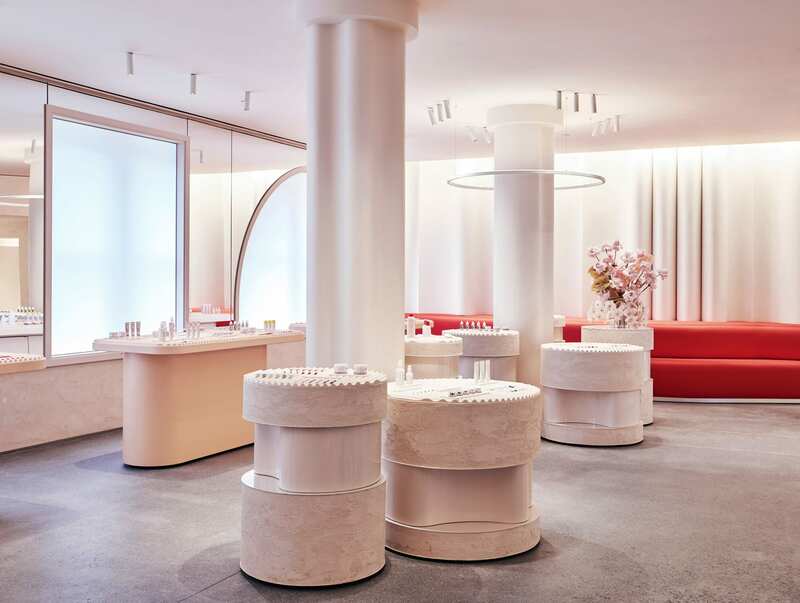 Glossier Flagship is located at 123 Lafayette Street, New York City.